"Battlerite is the best team fight you've ever had"
Battlerite is an action-packed Team Arena Brawler focused on competitive PvP combat. Fight side by side with teammates to the sound of the roaring crowd in vibrant, colosseum-style surroundings. The arena awaits! Aim skill-shots and dodge​ ​projectiles​ ​with​ ​the​ ​use​ ​of​ ​WASD​ ​movement​ ​& cursor​ ​based​ ​aiming.​ Wield total control over your champion and execute massive attacks against opponents. Test your mettle in quick, competitive matches against other champions in various 2v2 or 3v3 game modes. Level up your champion and progress through quests to earn loot. ​From​ ​weapons​ and outfits ​to​ ​victory​ ​stances, there’s​ ​a​ ​huge​ ​variety​ ​of​ ​cosmetic​ ​customizations to be collected​. This pack grants you ALL current and future Champions in each class. 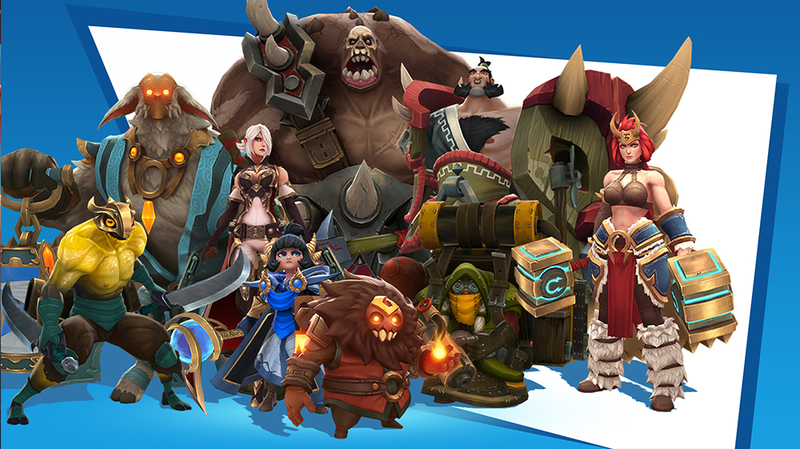 Don’t miss out on the opportunity to try out every Champion, giving you an edge in the battle.